A method I love to incorporate into our school day is hands on learning fun! These didn't feel like 'school' to the kids at all this summer as we explored some of Lakeshore Learning products. Linking Number Monkeys were a huge asset to our learning to count. The four colored monkeys each have a nice bold number on their belly. Maverick learned early on that there was a color pattern to the number order and that helped him a lot with some of the higher numbered monkeys. They go up to 30 which is excellent! He sorted them into their own color and then lined them up by number. He had a great time with the Number Monkeys. 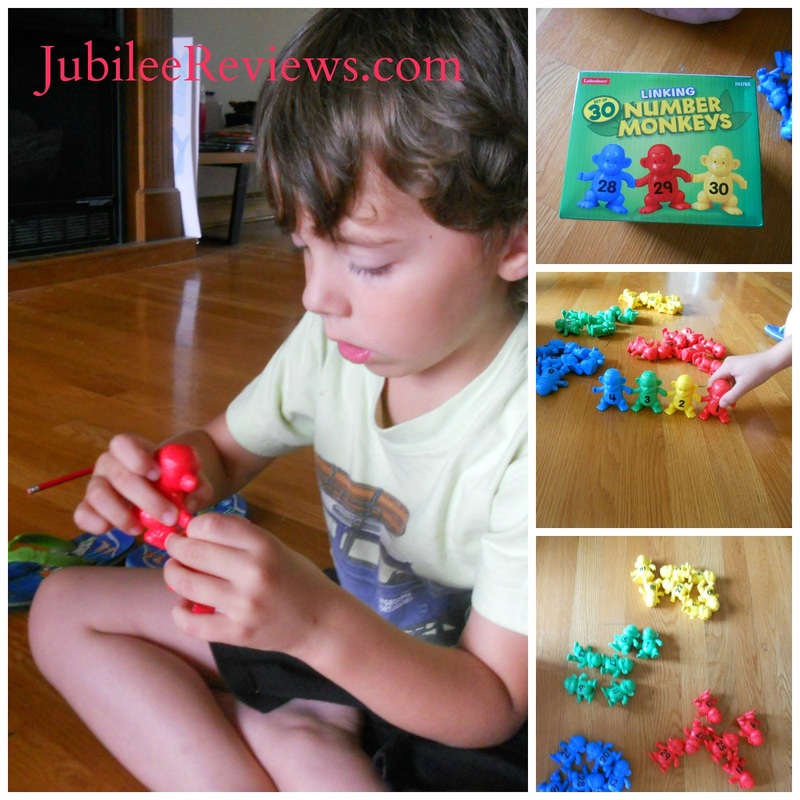 I love how they utilize fine motor skills for linking the monkey's hands together. 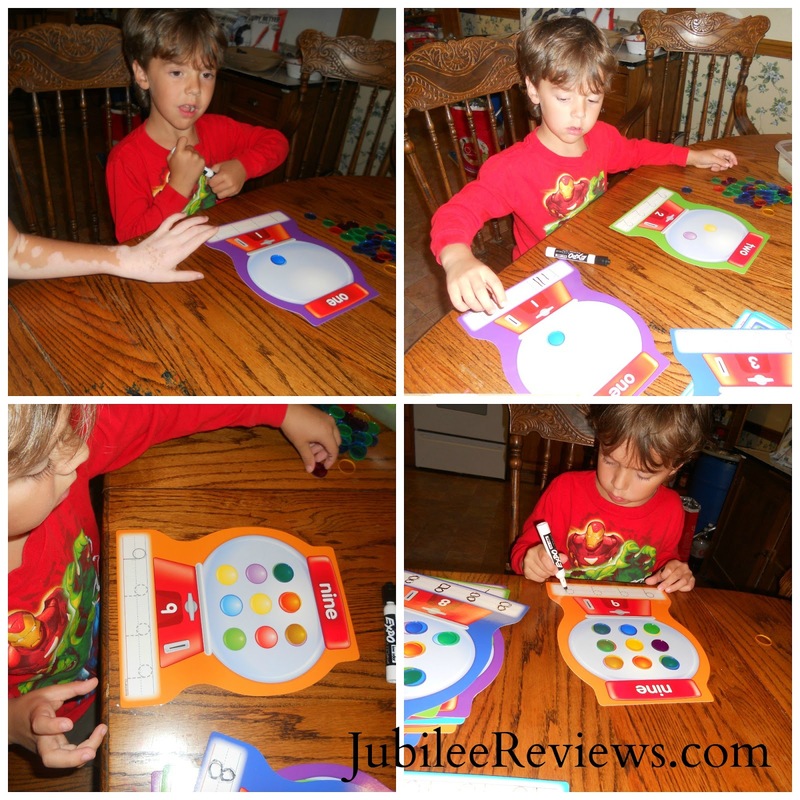 These are excellent counters that we will be able to utilize with our math skills this coming Kindergarten year. Lakeshore Learning has tools for all aged groups and you can shop specifically by age or category you are looking for. My daughter continues to struggle with Sight Words and I wanted to make the learning more fun that just reading the words again and again. Sight-Word Tower of Language Game was a great solution for her! 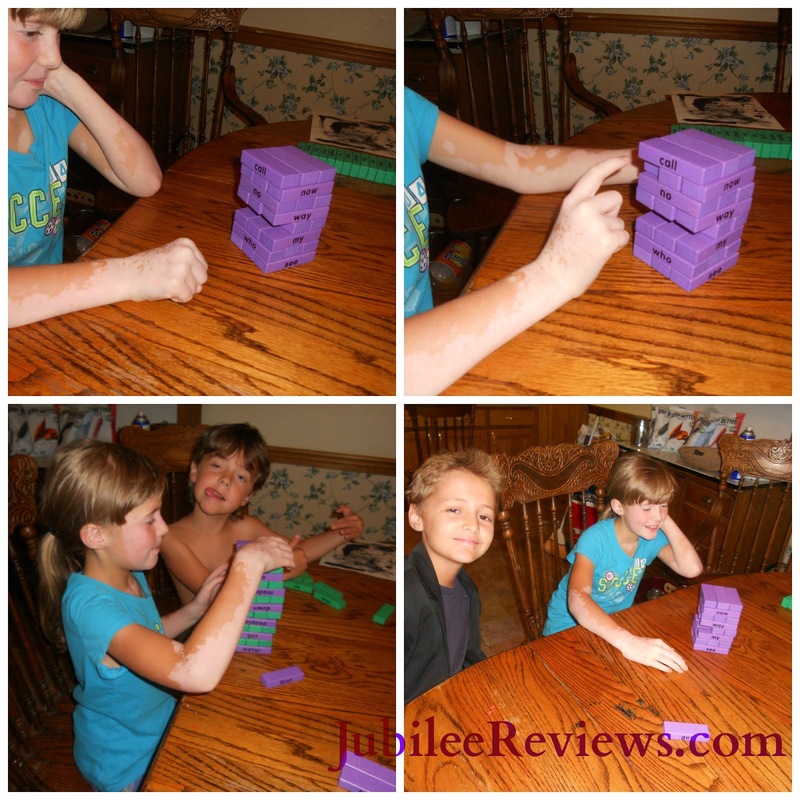 Similar Jenga or other wooden block building games, this one has the student say the word to be able to remove it from the tower. Watch that the tower doesn't come tumbling down! This game can be played alone or with others. It worked great for her to play alone and see if she could better her score each time. 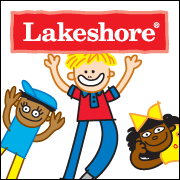 As you are planning for your kids to go off to school, extra after school learning, and homeschooling be sure to check out Lakeshore Learning Materials!